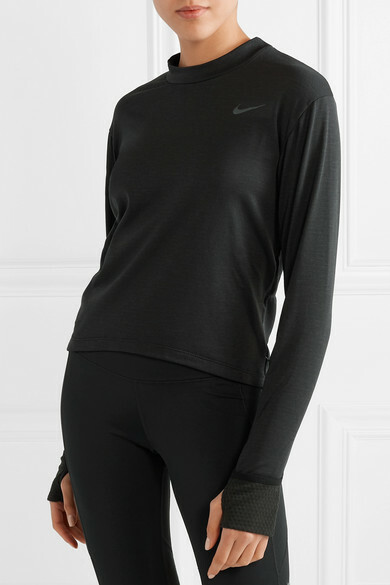 Perfect for running outdoors in cool temperatures, Nike's top is cut from its insulating 'Therma Element' stretch-jersey fabric and has extended thumbhole cuffs to keep the sleeves from riding up. 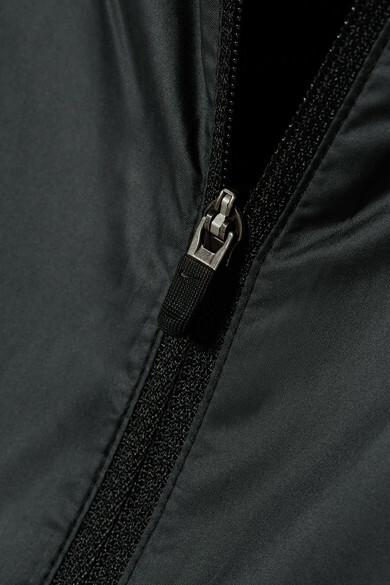 The water-resistant shell exterior has a hood for added protection and is so lightweight that you can detach it and stow it in the zipped pocket on the back. 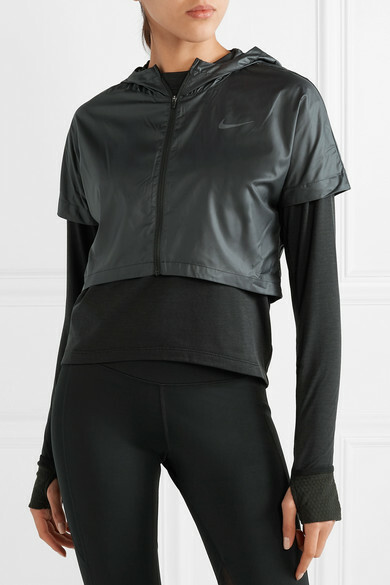 Wear it with the label's leggings. 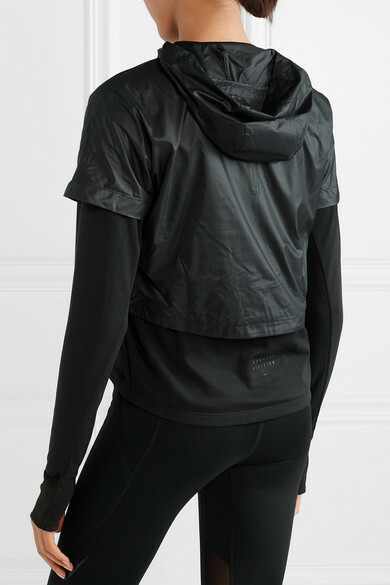 Shown here with: Nike Leggings, Nike Backpack, Nike Sneakers.